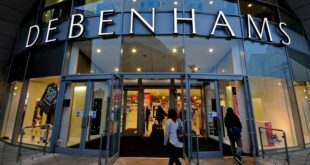 22nd October 2018	Retail Comments Off on More store closures on the cards for troubled Debenhams? The retail giant has issued three profit warnings and has lost two-thirds of its share price since the start of 2018. It is looking to save a further £30 million by axing dividends. Kimm & Miller has teamed with Walker Books on the line, which includes a bedtime story hot chocolate set.